Celebrating the delights of good healthy everyday food and special treats! Sharing recipes, information, and experiences. It's grilling season just about everywhere now. Of course, we're spoiled here in Hawaii with the ability to grill just about any day we like! 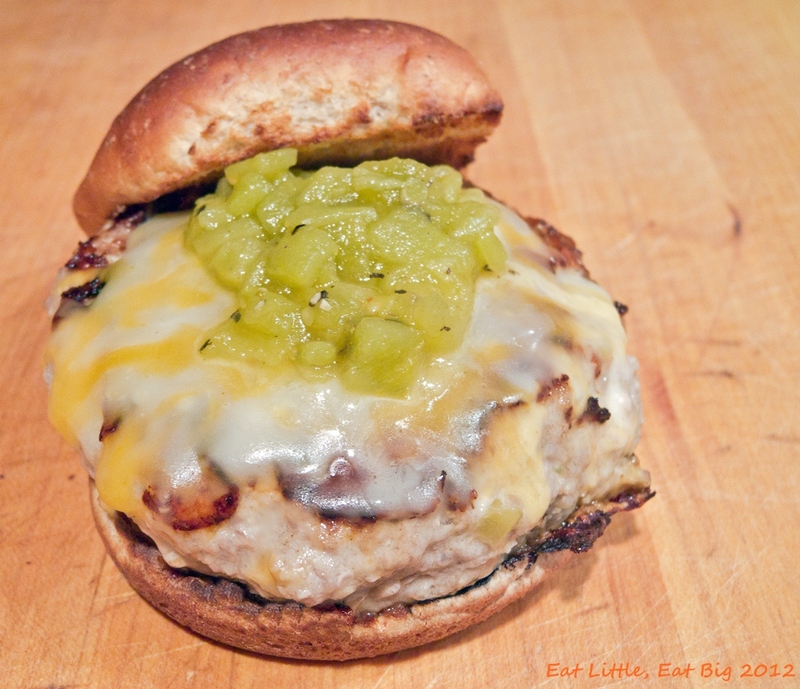 This is a very tasty turkey cheeseburger-hope you'll give it a try. Mix turkey, salt, pepper, cumin, garlic, 1/2 of chilis, 2 oz cheese together and form into patties. Grill until just cooked and no longer pink in the middle, about 3 minutes per side, flipping once. After the flip, top patties with remaining cheese. Toast buns and mix together the remaining chilis, lime juice, and honey. Taste for seasoning and add salt and pepper if needed. Serve burgers on buns, topped with chili mix. Please respect the Copyright for this blog. All photos and original text (c) Copyright 2010-2011 Eat Little, Eat Big by Susie Bee on Maui. Please give credit if you re-post anything from this site and link to the recipe/post. What else keeps me busy.